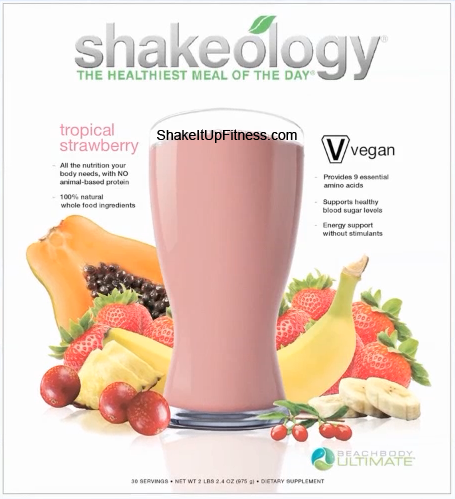 I am super excited about the new Shakeology Tropical Strawberry flavor! Available now, this new flavor is also Vegan with no animal derived ingredients in the formula! Coming in at just 130 calories per serving, Tropical Shakeology will have your taste buds asking for more . The development of the new Shakeology took a long time but it was well-worth it. The result is the most advanced, fermented brown-rice sprouted protein in the world. If you were to try any other vegan-based health shake, it would be very gritty in texture. This Tropical shake formulation is almost as smooth as whey protein shakes. The current Shakeology formulations (chocolate and greenberry) use the whey protein isolate. Also, the bio-availability of this Shakeology formula is unprecedented. 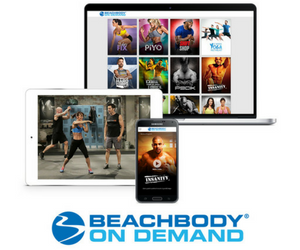 It will also be part of the new Beachbody Ultimate brand, which will start a whole new era for the company and includes products like the Reset cleanse. I am also happy that Shakeology Tropical will is non-GMO or genetically modified organisms. In the United States, over 80 percent of processed foods include GMOs. You’d never know because there is no requirement to make this information available on the nutrition labels. 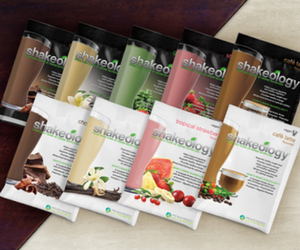 I am careful about the foods I eat so I am thrilled about the new Shakeology! It’s made with natural tropical fruits like papaya, pineapple, camu-camu, and is delicious. I love it! If that’s not enough good news, the suma root is not part of Shakeology vegan. This was a concern in the past for athletes who underwent drug testing because tests can’t tell the difference between plant sterols and anabolic steroids! It’s available to order now, only available at Team Beachbody as part of the new Ultimate brand of nutritional supplements.